Jeeps have always been popular for their uniqueness and their ability to take a beating and drive on virtually any road. The 2019 Jeep Compass in Boulder is a compact SUV that many people love. Here’s a little information about it so that you know what you’ll get if you purchase it. You’ll be so pleased that you’ll want to ask about Jeep Compass specials and lease offers at the dealership. The exterior of the Compass is fun and exciting. It has an overall youthful appearance, but it also has that touch of elegance that everyone desires in a vehicle. The 16-inch rims on the Sport model are painted with silver to add a luxurious effect. The exterior color choices are vast, and they vary enough to fit with anyone’s lifestyle. Some of the options you’ll have for your shell are colors such as Laser Blue, Redline Pearl, Spitfire Orange and Jazz Blue. 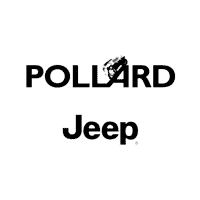 Many more options are available, and you can get the full list by visiting the Jeep dealer in Boulder Colorado. Ask about the Jeep Compass specials and lease offers near Longmont Denver Thornton. The Compass Interior is one that will keep you in it for as long as possible. The manufacturer wanted to make something that people would love to drive long distances, so it filled the compass with comfortable seating, convenient features and lots of technology. The interior was one of the highest rated elements of the car according to consumers and critics alike. You will be pleased when you get behind the wheel and see all it has to offer. The Compass is full of tech features and other features that will help you get where you need to go. You will not just have fun because of its amazing handling. You’ll have fun because of all the things you can do inside of it. Some of the key mechanical and tech features it has are Unconnect, premium audio, digital 7-inch driver information cluster, navigation and more. You’ll also have access to features like heated seats and dual automatic temperature control. The manufacturer wanted to ensure that anyone who got behind the wheel of this vehicle would be comfortable in every way. It engineered the model with features that would make it a sheer joy to either drive or ride in. There’s an extensive list of features that you’ll love, but you have to ask a specialist for additional information. You can get an up close and personal look at the vehicle by scheduling an appointment at the dealership to see it. You’ll learn more reasons to love it when you do that. You don’t have to wonder whether this model has a motor that’s powerful enough to give you the thrill you need. It can thrill you and help you complete tasks like moving and towing. It comes with a surprisingly powerful 2.4-Liter I4 engine that will offer you 180 HP. Today’s four-cylinder motors are much more powerful and productive than they were years ago. The Compass will surprise you with the pep and fuel efficiency it has. You can get a six-speed manual transmission if you want to enhance your fuel efficiency. Otherwise, you can choose a six-speed automatic transmission for yourself. Either way, you will be more than satisfied with its performance. Safety and security are two of the most important features that a vehicle can have. The Compass came engineered with state-of-the-art technology that will prevent accidents and assist you if one happens. Some of the features you’ll run into are features such as the Adaptive Cruise Control, Lane Departure Warning, Blind Spot Monitoring, Forward Collision Warning and more. Lane Departure Warning is a feature that keeps evolving and getting better with each new vehicle. It helps to keep you in your lane by giving you a warning. The system can also guide you as you try to get back into your lane. Adaptive Cruise Control keeps you at a safe following distance. It’s a smart feature that can assess how fast you’re going and then change your speed so that you stay the proper distance away from the vehicle ahead of you. The Blind Spot Monitoring system watches the places that people have trouble driving the most. It’ll provide you with an extra set of eyes to keep you safe no matter where you go. There are many more features that you’ll adore. All you need to do is contact the dealership and talk to a salesperson about the model’s other exciting options. Test-drive a Compass today the dealership near Longmont Denver Thornton. You will see all the reasons that it got the ratings it did on prominent car enthusiast sites. The team at the dealer in Boulder Colorado is there to make sure that you go home with a fantastic model that you’ll love for many years. You’ll be sure to fall in love if you choose the Compass. Call or stop by for a drive in an amazing model. If you decide to buy it, the finance team will help you get what you need. You can almost count on leaving the lot driving a brand new 2019 Jeep Compass in Boulder.